Simpurity Gauze Sterile Sponges are ideal for general wound cleansing, debriding, minor prepping, covering and packing wounds. It is a woven sponge made of 12 ply 100% USP cotton. 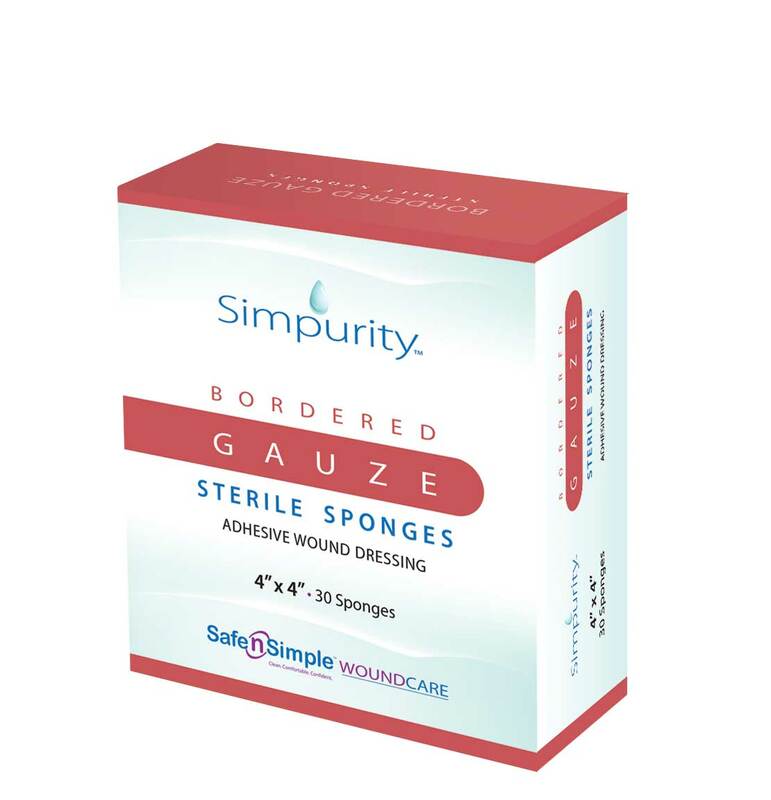 Contains 2 sponges per packet.Simpurity Bordered Gauze Sterile Sponges are a non-adherent gauze sponge island dressing with an adhesive border. These woven sponges are made of 12-ply 100% USP cotton for use as a secondary dressing. The sponge absorbs exudate for a cleaner wound bed and the adhesive border protects the wound from outside contaminants.